Harry How/GettyThe new NFL helmet rule is sure to cause plenty of disagreement. After one preseason game, it’s clear the NFL’s new helmet rule is going to cause some problems this season. The rule, which states players can’t lead, or initiate contact, with their helmets on tackles, was called three times on Thursday, leading coaches, players, and analysts to express confusion. Chicago Bears cornerback Prince Amukamara told Business Insider that the new rule could be problematic because it may force players to think or hesitate on the field. As expected, the new rule seems to have a steep learning curve that is likely to lead to plenty of controversies this season. Just one game into the season, the NFL world is up in arms over the new helmet rule. The rule, introduced in the offseason, states that players can’t lower their helmet to initiate contact or lead with their helmet against an opponent. 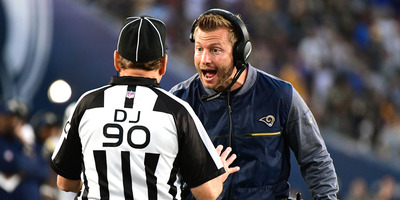 Penalties can range from a 15-yard penalty to a fine or ejection. Less than five minutes into the Baltimore Ravens-Chicago Bears Hall of Fame game on Thursday, referees threw a flag for the new helmet rule, assessing a 15-yard penalty on Ravens linebacker Patrick Onwuasor for illegal use of his helmet after a tackle. Less than five minutes into the Baltimore Ravens-Chicago Bears Hallof Fame game on Thursday, referees threw a flag for the new helmetrule, drawing a 15-yard penalty onÂ Ravens linebacker PatrickOnwuasor for illegal use of his helmet after a tackle. The rule was called three times on Thursday, with all three penalties going against the Ravens. 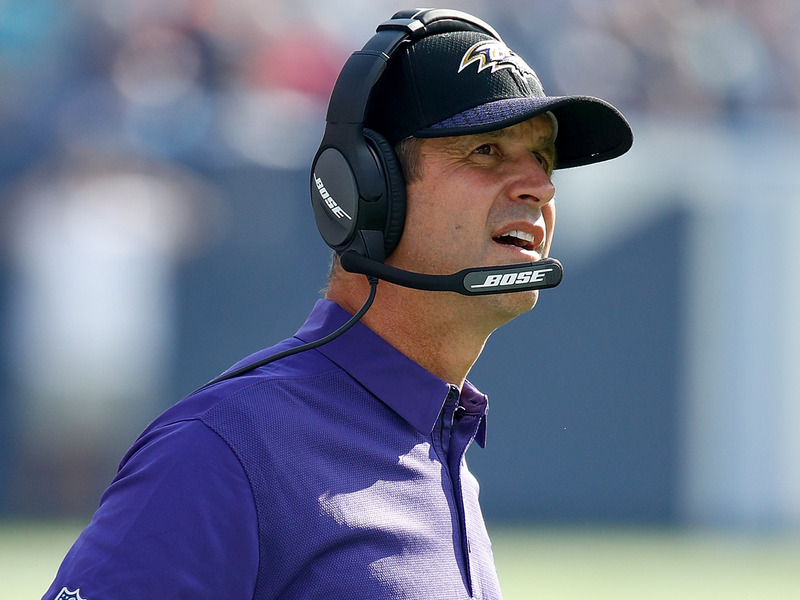 Andy Lyons/GettyRavens coach John Harbaugh said he doesn’t know enough about the new helmet rule to judge it. After one preseason game, it’s clear few people have any idea what to expect. Making Harbaugh’s comments even more eyebrow-raising, NFL reporter Jim Trotter reported that Harbaugh told him before the game that he wasn’t concerned with the rule because the Ravens teach players proper tackling form. Evidently not, in the eyes of the referees. Last week, Philadelphia Eagles players reportedly grew frustrated in a meeting with referees over the rules. The Eagles said the referees could not agree whether a tackle from last season violated the new rule. Bears cornerback Prince Amukamara expressed a similar sentiment to Business Insider. After first asking for a reminder of the rule, Amukamara said players can’t afford to slow down and think before plays. Amukamara pointed to other potential repercussions. He noted that in the Minnesota Vikings-New Orleans Saints playoff game last year, when Stefon Diggs scored a game-winning 61-yard touchdown,Saints safety Marcus Williams slowed down, appearing to be afraid to crash into Diggs midair. He ended up misplaying the ball, and Diggs broke free for the touchdown. Amukamara also said he expects players will appeal ejections and fines if they disagree with rulings by the officials and league. He said at the moment, it hasn’t been a hot topic with the Bears and other players, but he expects it may be later on. The new helmet rule is ostensibly a good one meant to make the game safer. If there’s an upside to the confusion following Thursday’s game, it’s that referees may be trying to set an example in preseason to get players and teams used to the new rule. Perhaps after enough time, things will smooth out. Ravens linebacker Bennett Jackson, who was called for a penalty for violating the helmet rule on Thursday, said he thinks officials are trying to set an example early in the preseason. In the meantime, there appears to be a steep learning curve that promises more flags, penalties, reviews, fines, appeals, and debates.